Anna came up with a really good idea for a thread topic. She wanted me to start this for her. Please join in and post what you are thankful for this year. Anna: I am thankful for my family, as dysfunctional as it is at times. I am thankful for my relationship with my mom...the play bickering over who owns what chicken, etc. I am thankful for my animals, as they only want to be and to give love. I am thankful for school friends I have and those that I have just recently come back into contact with. I am thankful for msn chat coffee clutch club. Those ladies and gentlemen all mean the world to me. I am thankful for this board and the new friendships made and the glimpses into everyone's life. Deb: I am thankful for the friendships I have made. They have saved my soul through some really hard times lately. For this, I will be forever grateful. I am thankful for my new little puppy Teddy, for during a new rough spot in my life he reminds me to stop, smile and play. I am thankful for all my pets, their unconditional love. I am thankful for each and every one of you. And I am thankful for each day that I am allowed to be here on this earth, to enjoy all the beauty to be found in it. I am thankful for my family, especially for the grandkids. They have given me new hope when I had a hard time, finding no reason for my life. I am thankful for my pets - they force me to get out and about, they make me smile even when I don't feel like it. And - I am so very thankful for my cyber friends - msn chat coffee clutch club, that Anna referred to. They give me a reason to get up every day and they have supported me through rough days and they have shared my joy on happy days! They mean everything to me!! for the 3 months of grass hoper plage..
and im even thankful for the things that piss me off. as they give me some thing to laugh about later. my husband who cooks... cleans... paints... shares his money and would give shirt off his back to his wife. my sons for the experiences i've had having them - bringing them up - funny cute wise words they've said to me - thru their cheeky teenage years - i've learnt heaps from them - now thankfully they're finally finding thier feet with their partners at age of soon to be 38 and 40! for years of boarding school where i gained heaps of brothers and sisters - where we knew one another for nine months every year. 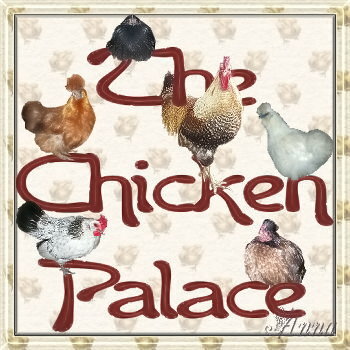 for the homes i've lived in - the last one almost the best we could find apart from not allowed to have a blue silkie rooster! for the neighbours around here... being so good to me despite that dickless one! » "Tales From the Cacti Cube"
» Moo-nure - "We are #1 at #2"
» "Why was my account deleted??"